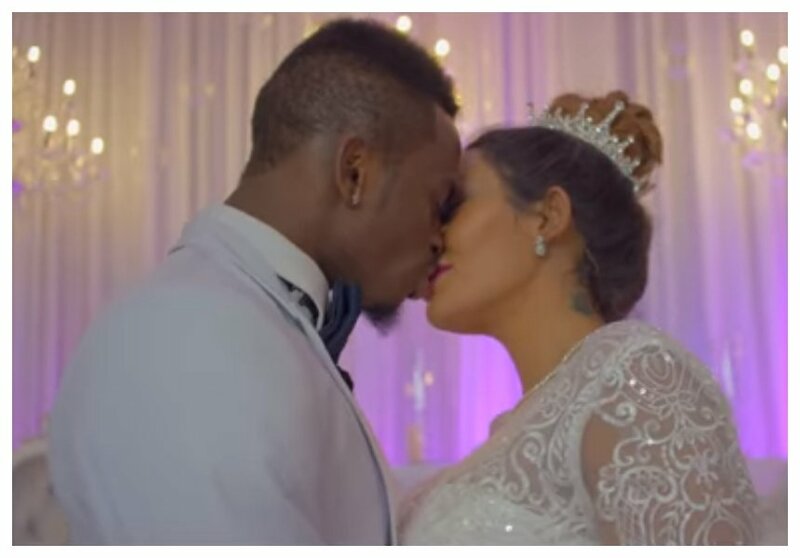 Diamond Platnumz and his baby mama Zari Hassan exchanged vows in fake wedding that is part of the singer’s latest music video ‘Iyena’. The video was shot before February 14th 2018 when Diamond and Zari officially broke up. ‘Iyena’ created a lot of excitement as fans thought Diamond and Zari had finally reconciled. 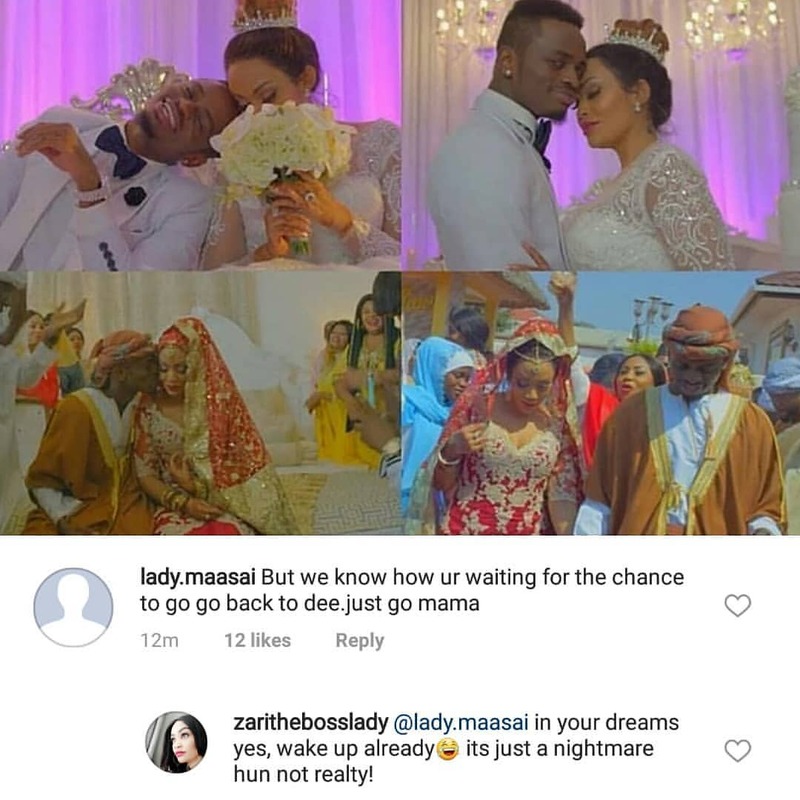 Zari was forced to set the record straight after the fake wedding. Fans were pestering the mother of two to reconcile with her baby daddy arguing that the two made a lovely couple. The 37-year-old however made it clear she was not reuniting with Diamond. Zari was responding to a fan who claimed she was eagerly waiting to run into Diamond’s arms. “@lady.maasai in your dreams yes, wake up already its just a nightmare hun not reality!” Wrote Zari.